The commitments keep on coming! Earlier today, 2016 FB/LB David Reese flipped his commitment from Louisville to Michigan, while visiting Ann Arbor for the spring game. One of the reasons I did not include David in our preview of 2016 Linebackers, was that 247's Steve Lorenz reported earlier this week that Michigan has been recruiting David as a fullback. Now, while this does not mean he strictly will be a fullback during his time at Michigan, there is a chance he could see some playing time at the linebacker position in college. David has the prototypical frame to play fullback at the next level, and won't have to add on much additional weight to his frame. David does an excellent job of identifying his man and quickly setting a block. His huge frame make him very difficult to tackle as he is simply much stronger than most defensive players. He has very underrated speed for someone his size, and does an excellent job of seeing holes in the offensive line. Does a good job of lowering his head and absorbing contact, while keeping his legs moving to gain additional yards. Won't shy away from contact and will pick up yards when it matters most. Excellent in goal-line situations due to his ability to grind to pick up additional yards. Protects the ball exceptionally well. With Joe Kerridge being a 5th years senior, and Sione Houma also being a senior, David could see playing time early on in his career, especially in red-zone situations. 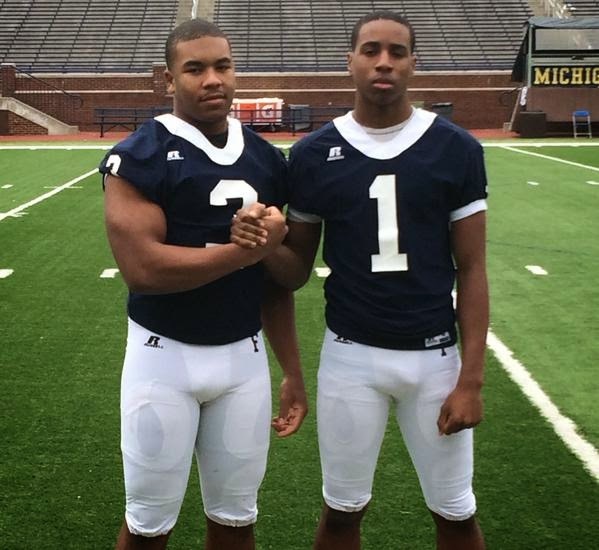 Reese will likely be the only fullback commit in Michigan's 2016 recruiting haul.